Your body and face are all basically in a specific proportion with everyone else. Of course people have different sized noses, chins, brows, etc....but, within a certain margin, you can know that the face will have certain measurements, within means. Do you want to learn how to draw people? If so, learning how to draw the human face and head is a good place to start. 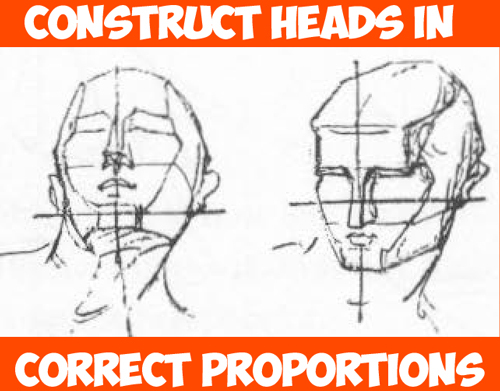 But without some proper knowledge of simple measurements and proportions of a person's face, your drawings might look strange out of of proportions. That is what this article will help you with. 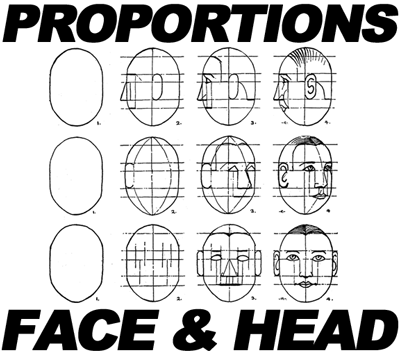 You will want to bookmark this page and come back when you need to draw the human head and face. Below, find out how to draw the face in profile view (side view), three-quarters view (3/4), and front view.